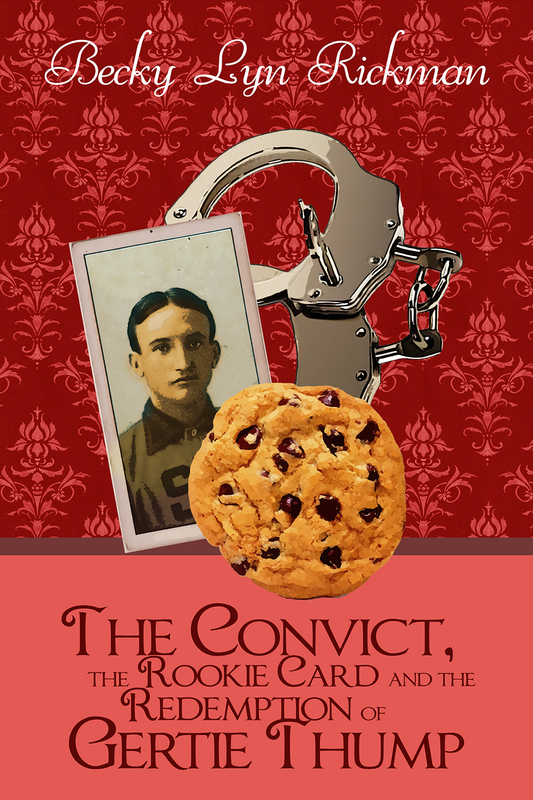 The Convict, the Rookie Card, and the Redemption of Gertie Thump - Words. Stories. Love. You can even get your ebook signed! Click below! What a super interesting and unusual read! Written in a great way to grasp the reader throughout the book with its 'draw you in' kind of quality. The reader will be consumed by its warmth and the engagement of the well-developed characters will keep you pinned throughout the pages. The plot is nicely developed and strong - an intriguing story, quirky with Gertie, witty and clever writing. Highly recommended to anyone seeking anything heart-warming and a little different. So, curl up and take a seat with this wonderful page-turner. A special and sensitive kind of writing - lovely to sit and swim within the pages of this tale. This book was awesome in the way it dealt with people. People we love to hate and yet the Lord may put them in our life for different reasons. We learn from each other. Praying that there is another book to see what happened to Gerte`s friend. Great story line. I enjoyed the quirky, original characters--yet so believable. I especially liked the humorous insights into human nature. Surprisingly hard to put down. I should have been to bed a few hours ago, but once I picked up this book, I literally did not stop reading until I finished the whole thing! It's been a very long time since I could say that about any book. I can't wait to read more from Becky Rickman, especially about more misadventures of Gertie Thump! When I purchased this book I wondered how in the world a convict, a rookie card and someone's redemption could possibly fit together! But, they did quite well! Great story with unexpected twists and turns. Reading this story touched all the parts of me. The part that gets tired and grumpy and short with others when I really wishes I could be more civil. The part that is uncomfortable at parties. The part that wants others to think well of me. The part that gets worn out in a crowd. The part that wants to lead others to a saving knowledge of Jesus ... and be persistent enough and pleasant enough to see it happen. The part that enjoys a good laugh...even if I am laughing at myself or other human antics. The part that sins and wishes I hadn't, but is grateful to a God who forgives those who repent. Have you noticed how many parts there are of me? This is a truly fun book - it helps to teach us that all is not as it seems! Just because someone appears to be religious doesn't mean they don't commit crimes. Just because someone is grumpy and constantly complaining doesn't mean they aren't good! Great mystery with enough twists to keep it interesting. Hoping there will be another book about Gertie in the future! I started reading this book and before I knew it I was halfway through. A very clever and inspiring story. This book was a bit strange, but oddly compelling. I wanted to see how it ended and finished it in two days. Characters were likeable. Story was a fun read, just unbelievable. This is one of the funniest books I have read in years . I can't wait to read more from her. This would make a great series. Keep up the good work. 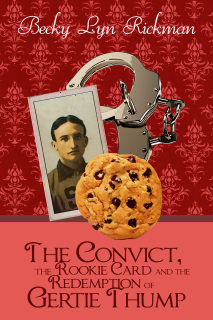 All I can say is “wow!” Becky Lyn rickman’s ‘The Convict, the Rookie Card and the Redemption of Gertie Thump’ is one of the most refreshing, entertaining books I’ve read in the past several months. It is quirky, cleverly written, with a protagonist (Gertie) who will make you drop your jaws and leave it there—and I haven’t even begun describing the book, yet. Gertie Thump is a maverick—a sort of pain in the (a$$) for the folks who run the small town of Rosedale. Gertie’s good intentions are equalled only by how “repulsive” the rest of the townsfolk perceive her to be. That’s why this is such a hilarious, compelling read—you can’t get enough of Gertie Thump’s antics—her dialogues and actions, the way she thinks, the way she gets her way no matter what are the kind of stuff that will keep your mouth hanging open. The characters are so well developed you feel as if they’re in the same room with you—from Gertie to Sharon to Seth to even the minor characters that revolve around Gertie’s life like little annoying moons. The author’s knack for injecting verisimilitude is just incredible. Let me suffice it to say that I love this book to shreds. The author Rickman can weave a tale so well that you can’t help but wonder why in hell is Hollywood making a movie out of this book? Gertie Thump deserves to be appreciated by a wider audience—her antics will be more breathtaking on the big screen. Get a copy of this book—and I mean TODAY. Or send this to all your friends—they’ll find it immensely entertaining as I have. Five stars for this one. I love a good mystery. This book is just the kind of book that makes you want to get nice and cozy with blankets and hot coco and read. Which on some nights is exactly what was done. It's an excellent book overall! 5.0 out of 5 stars Clever, February 9, 2014 By Nycole Lee "Nycole Lee"
Wow! This book draws you in quite quickly. Gertie Thump is such a dynamic character, and one that we can all say we know someone just like them! She reminds me of my grandmother, actually. From her speech to her love of Wheel of Fortune! Gertie has an issue with practically everything and will not bite her tongue. The writer keeps you engaged by keeping your intrigued by this character and the fast paced story that follows! Escaped prisoners? Well, Gertie will not stand for such disorder. Still, everything is not what it seems! I love it! This may be the first book that I have came across and read by Becky Lyn Rickman, but I am sure that it won't be the last. It's a bit different than what you typically might expect from the genre, but the uniqueness adds a great vibe that kept the story intriguing and captivating for me practically through the entire read. My favorite aspect of this book, though, is definitely the writing style; it's clear and and vividly rich without bogging the reader down with too much filler or unnecessary detail and with a great suspenseful tone in some parts where it is essential. The writing does a wonderful job of expressing the plot and characters, especially Gertie, and it's a great testament to the author's skill. I would give this book a strong 9/10. Not a single dull moment! I loved getting to know the characters and watching the transformations. I can see myself reading this one again later on! Becky, this book was great! It has a unique storyline which is always needed at least for me, since I read a lot of books. Keep up the great work! Can hardly wait for your next book. About half way through the first chapters in this book, it dawned on me: this is the kind of book that makes me want to snuggle up in front of a warm blazing fire with a cup of hot cocoa and savor such a great read. That is exactly what I did late last evening, the next thing I knew it was 2 am! I just couldn’t put it down until I knew if Gertie really gets Sharon out of prison or gets her grumpy self arrested in the process. The sheriff seems to have everyone in town figured to a tee or does he? The plot is clever and quick, with more twists and turns than a switchback mountain road. I would highly recommend this book to anyone who loves a fun, fast-moving cozy mystery, or just wants an enjoyable peek into life in a small town. I anxiously await to see if there is a sequel to this Rosedale mystery. It would make a great series! I know the author and was nervous about reading it because I SO wanted it to be good. This book FAR exceeded my expectations. I enjoyed it all the way through. I can easily see it made into a really fun movie. The plot was interesting, the characters believable...it was hard to put down. I cannot believe that MY friend produced this book!!! What a delight! I really enjoyed reading this. The writing made the characters so real and the twists and turns in the story hold your interest! Definitely would recommend to friends.